Surely you must have listened to Desert Island Discs, even if only just the once? Do you remember the bit where they ask which book you would take with you if you were abandoned on a tropical island? Well, this is my choice. Maybe I'd smuggle 'Dog Walks Man' in my hand luggage too, I'm presuming they wouldn't search my bags beforehand? This book is written by Mark Carwardine, a regular contributor to BBC Wildlife and an avid conservationist. He describes his travels with Stephen Fry (you can't not know who Stephen Fry is!) around the world visiting exotic locations where there are endangered animals, or even fairly recently extinct animals. The background is that Mark Carwardine travelled with Douglas Adams (Hitch Hikers Trilogy in four parts author) twenty years prior to the publication of the book 'Last Chance to See' shown above. So you see, the book I am reviewing is actually the sequel to the one shown below. Both books are literary wildlife gems that you cannot afford to miss out on if you have an interest in the natural world. I highly recommend that you read the Douglas Adams Last Chance to See book before you read the sequel with Stephen Fry. In the book I was sent by WHSmiths, Mark Carwardine and Stephen Fry travel to various part of the world to revisit the places mentioned in the book above. They aim to see how the endangered animals have fared in 20 years, have conservation efforts been successful or otherwise? In some cases, the news is good and in some cases it isn't. I had joyful moments and very sad moments whilst reading this. It's uplifting to see how hard people work to preserve our irreplaceable wildlife, and yet heartbreaking to see how some efforts are simply all in vain. It's an emotional book in that respect, but there are so many more facets to it - there's information about habitat, details about ongoing conservation projects, tales of exotic travel and in the middle of all of this is Stephen Fry who makes it all endlessly entertaining. The photography is amazing. It really is a visually beautiful book that is a pleasure to browse. 'Last Chance to See' is well written and has the perfect balance of facts, humour and photography. I love this book unreservedly. Even if nature books aren't really your thing, I'd recommend giving this a go. The tales of travel and animal escapades make for really interesting and fun reading. Not to be missed! The only downside to the book is that it doesn't go on forever, I was so sad to reach the last page. I love this book! This is a book I would choose to review! I picked it up for £1 in Home Bargains which was a 'bargain'! 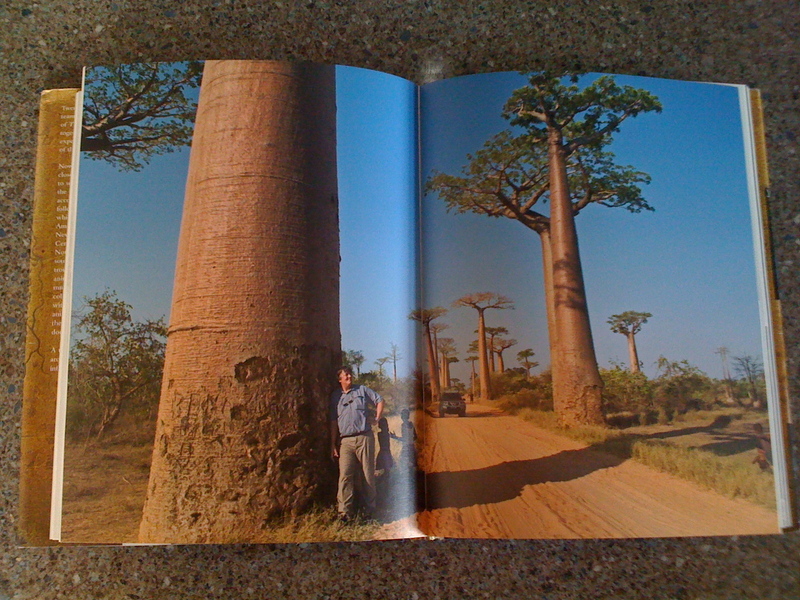 the photography is great - its a book i can enjoy reading and the kids can enjoy looking at the pictures!